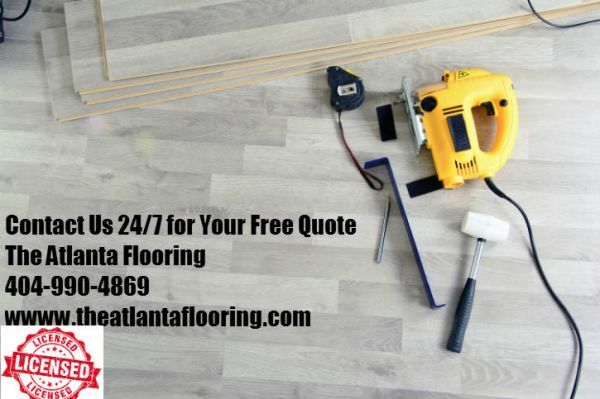 The Atlanta Flooring - The Atlanta Flooring covers all your residential and commercial floor needs. Whether you need new floors or refinishing your current floor you can depend on us. Hardwood carpet, tile, laminate more. The Atlanta Flooring covers all your residential and commercial floor needs. Whether you need new floors or refinishing your current floor you can depend on us. Hardwood carpet, tile, laminate more. The Atlanta Flooring covers all your residential and commercial floor needs. Whether you need new floors or refinishing your current floor you can depend on us. If your searching for hardwood, laminate, carpet, tile, or concrete you can have it all installed for your floor. Floors have a big impact on the look of any property and space. The job doesn't have to be tough on your own as we are available 24/7 to receive and respond to your request. We offer service for the four major flooring options. Hardwood flooring, laminate flooring, vinyl flooring, carpet and ceramic tile flooring are all apart of our expertise. We have a qualified and licensed team that is able to benefit your space with their top level skill. All your flooring services can be taken care of under one stop. We are a Georgia flooring and design company that can answer the service request of all Georgia residents and property owners. Our Georgia flooring experts are trusted when providing the best option for your budget and can bring ultimate value to your home for your floor installation. At The Atlanta Flooring we are prepped for your new construction as well as renovation you can fully depend on our flooring contractor service. Our hardwood flooring Atlanta professionals provide residential, commercial, and recreational flooring with a variety of hardwood finishes. Tile installation Atlanta Ga is also apart of our services our contractors can provide. Restor-It is one of Atlanta’s best sources for flooring installation, cleaning, maintenance, resurfacing and repair – both residential and commercial. REDRHINO: The Epoxy Flooring Company provides epoxy and resinous floor coatings for industrial, residential, and commercial applications. Don't get a kink in the neck trying to repair your carpets! Get help from Southern Classic Floors Inc.